On the Buses has never really been a favourite of mine. I ended up getting the box set from Amazon UK quite a few years ago when they had a crazy sale which made the price very affordable. Since I got the set, I have watched a bit from the first to third series. I have enjoyed what I saw but never really gone out of my way to watch the rest of the series. There were quite a few series where I just had to see all the episode but On the Buses is one I have been very casual about. I have a fairly large collection of DVDs & Blu Ray material. The majority of what I own is British television as it is something I have always loved since I was a child. Some titles takes me ages to get to due to time and the point of this blog is to force me to randomly pick series from my collection to watch and discuss. This is good because it forces me to watch stuff that otherwise would still be sitting on my shelf unwatched and unloved. Although I haven’t written on this blog for almost 2 years, I have continued to randomly picked stuff to watch. This week was the final 2 episodes of On the Buses. Perhaps you are wondering why I would want to watch the final 2 episodes? Being a life long fan of television, not just as programs but how the industry works, I am conditioned to think all season/series finales happen in May. So basically, in May I always watch the last episodes of programs. 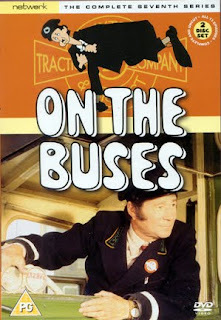 In the case of On the Buses, it is really sad to see how a good series ran out of steam and ideas. The two episodes I watched were Friends in High Places and Gardening Time. I think I counted myself laughing once or twice per episodes. When I watch earlier episode of this On the Buses, the laughter and energy of the show were consistent through out. Friends in High Places starts off as Jack leads a revolt in the cafeteria for better food which his insults makes the chef leave. He realizes that Mabel Butler, the mother of his mate Stan, is an excellent cook. This leads to Blakey, who is living in Stan’s house at this point in the series, to take this idea to his manager. Upon the interview between the Manager and Mable, they realize they know each other from during the war and start spending more time together. This is great for everyone involved except Blakey who is the odd man out and no one likes. This episode is not funny. Part of the problem is that there is no energy in the production. Essentially, Stephen Lewis, who played Blakey is the lead of the series after Reg Varney left. Reg had charisma and Lewis’ character Blakey was wonderful fodder for Bob & Stan to pull tricks on. Now that Stan is gone, it is lost and what Bob does and says to Blakey is just mean spirited and often cruel. 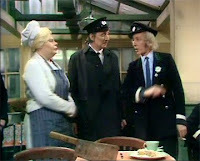 Plus, after Stan left the series, Blakey is evicted from his house and moves in with Mabel and Olive. Bob comes around all the time, since he lives next door, and causes unfunny mischief. Why does Blakey live there especially if he doesn’t like Bob? I also need to come clean about my own stupidity. 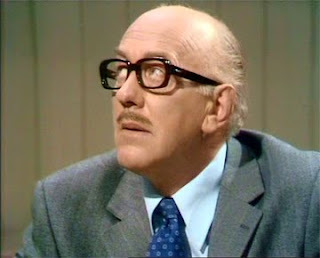 I thought the area manager was played by Sir Alec Guinness. He sound and looks like Sir Alec and he is as unfunny as I would expect Sir Alec to be doing comedy. Has anyone seen “The Horses Mouth”? Of course it wasn’t Sir Alec, it was Bob Todd of Benny Hill fame. Wow. 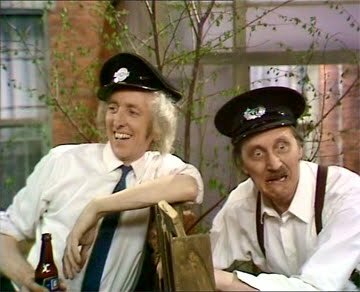 The final episode of On the Buses is called Gardening Time. It is co-written by Stephen “Blakey” Lewis. I thought this was much better in terms of a story. Bob & Stephen enter into a gardening contest to decide who has the best back yard garden. As they live next door to each other, they each try to sabotage the other’s garden. Hilarity ensues. Actually, mild chuckling ensues. The area manager is played by the legend known as Michael Sheard who is pretty good in this. Of course Anna Karen is really funny and does a magnificent job of playing the whining Olive who is sister to Stan and daughter of Mabel. In the episode Bob is pining after this beautiful woman at the bus station which they both works and he succeeds in picking her up! How is this possible? He is not very attractive and screams of ulterior motives to a level of creepy intent. When Stan was still on the show, it was no better. It was a couple of blokes in their late 40’s trying to pick up women in their 20’s with a fair amount of success. Such machismo! Series 7 of On the Buses really misses a couple of things. The absence of Reg Varney is huge! When a main character leaves a series, that show can really suffer. Can you imagine Happy Days without Ron Howard or Little House on the Prairie without Michael Landon? Oh, wait….! Also, Michael Robbins is sorely missed. He played Olive’s husband Arthur. He had some amazing one liners and was a very hypocritical character. I really enjoyed laughing at his faults! He left the series after the 6th series and the character was written out as Olive & Arthur divorced. Not very far-fetched at all considering those characters relationships. Certainly characters of TV shows had worse send offs such as Shirley Feeney from Laverne & Shirley. A mentioned earlier, I watched these episodes from the Network PAL R2 DVD boxset. No restoration was done on it but I don’t think that is necessarily a bad thing. The video quality was very watchable. Like many of the Network DVD sets, they like to include programs which are related to the program but are not part of the program. On the Series 7 DVD, there is the pilot to the spin off starring Stephen Lewis as Blakey in Don’t Drink the Water, I might give that a spin this week. Also, there is a play included starring Reg Varney titled The Best Pair of Legs in the Business. This especially is a wonderful bonus because there is probably very little likelihood of it being ever released alone. 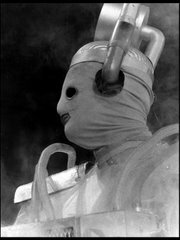 Finally, it was mooted that the series could return in the early 1990’s. Scripts were written. Below is the third part of an interview on Wogan where the whole cast is still alive. This interview is from 1990 and very soon after that, they started dying off and now only Stephen Lewis and Anna Karen are the last of this legendary show still with us. I suppose I shouldn’t be too dramatic about it. The interview was conducted 20 years ago. Next week, I look at the final episode of one of my favourite series. All Creatures Great & Small, Brotherly Love…..also from 1990. If you have any feedback or want to discuss the series, please leave a note. Would love to hear from you. Haven't seen any of the series, but did catch one of the movie spin-offs, MUTINY ON THE BUSES, that Hammer produced in the early 70s. Came across like a cut-rate CARRY ON copy. To be honest, I haven't really seen the movies either. I have them on DVD but since I haven't really been able to get into the series, the films have been kind of left behind. I think its probably like a lot of those British Comedy crossover into film scenarios from the 1970's, A lot of them aren't that good. Though, I am still a fan of the Are You Being Served? film and I know that is not a very good film at all! Series 6 is much shorter than the others. 7 episodes instead of 13+ by that point, but it's one of the funniest series, I think it's gold. Save the Walt Disney Treasures!